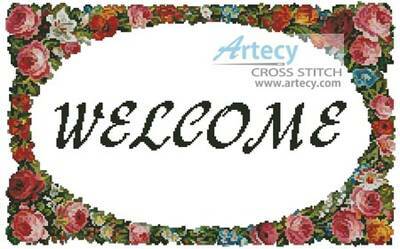 Floral Welcome cross stitch pattern... This counted cross stitch pattern of a frame of flowers with a welcome message would make a lovely addition to welcome visitors to your home or use the design as a border design for another pattern. Only full cross stitches are used in this pattern.